Red Mountain Resort Lodging is a Central Reservation office for a number of high quality vacation rentals at the Red Mountain Resort and also some downtown Rossland properties. Lift tickets can also be purchased through this office. 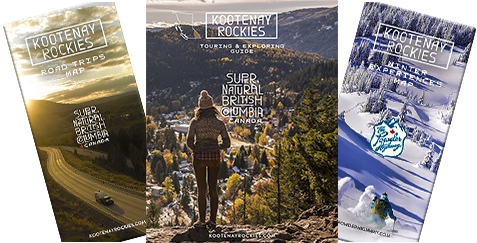 Enjoy the magic of Red Mountain Resort and the beauty and charm of the alpine city of Rossland. The classic mountain retreats offer comfort in style, with beautifully decorated, spacious units including vacation homes, cabins, loft-style accommodation, condominiums and lodge. Each accommodation property comes absolutely complete with full kitchens (full size fridges, stoves, microwaves, coffee makers, tea kettles with tea pots, pots & pans, glasses, utensils, salt & pepper and sugar). The beds are all made with pillows and supplies will be there for any futons, and pull out couches. Common amenities also include covered parking, in-house laundry, gas fireplaces, private deck, master bedroom ensuite, TV / DVD player, wireless internet, ski and snowboard storage. On-mountain properties include Slalom Creek, Morning Star, Silvertip Lodge, Red Rob's Carolyn's Corner, Copper Chalets, White Wolf, Lofts at Red, 88 Creekside, Granite Mountain Chalets, Cascade Lodge, Powderview Lodge, Redstone Chalets, Eagles Nest Lodge, Moose Lodge, Bear House and cabins. Downtown accommodation properties include the Prestige Mountain Resort, Casa Alpina Motel and the Rossland Motel. Red Mountain Resort has hosted hundreds of weddings - in all four seasons. They can help you create the perfect package for your special day. The outdoor ceremony space is a 4,400 square foot sun deck with regal views of Red and Granite Mountains. The Conference Centre was built in 2010 and is an urban-calibre facility with complete digital connectivity and wireless internet throughout. There are various rooms for different-sized groups. Red Mountain Resort Lodging look forward to welcoming you to Rossland. Prestige Mountain Resort - downtown Rossland.